Prepare to be amazed with Beauty Lovers Selection Box! 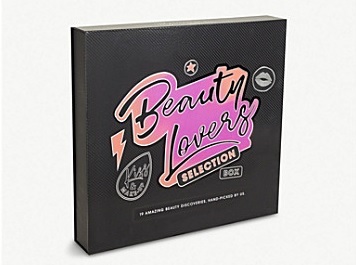 Hand-selected by Selfridges expert Buyers, 'the limited edition Beauty Workshop Advent Calendar - Beauty Lovers Selection Box plays host to an extensive line-up of cutting-edge skincare and make-up favourites from the likes of bestselling brands ZOEVA, Limecrime, beautyblender and Too Faced. Selfridges Beauty Lovers Selection Box is Available Now!